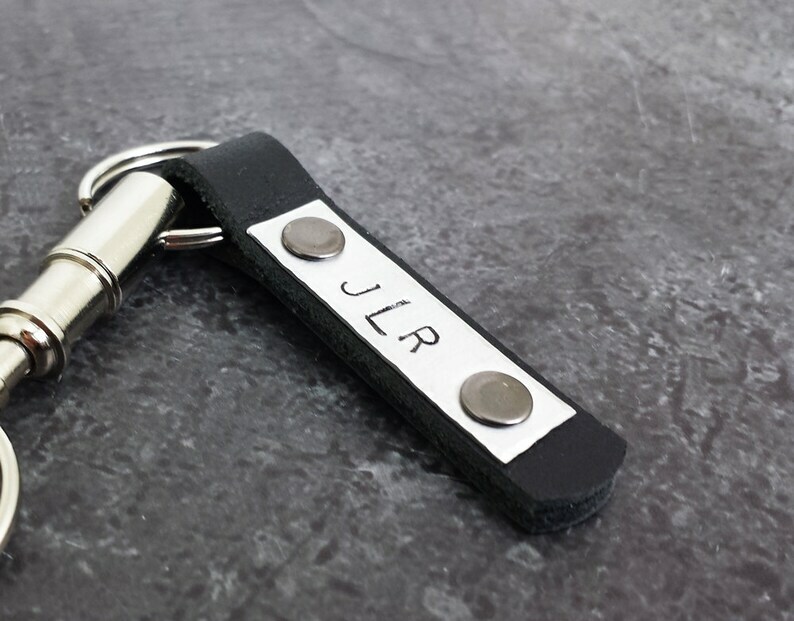 Our leather key chains make the perfect for Dads, Granddads, Uncle, Brothers, Best Friends and makes a great groomsmen or Best man Gift! 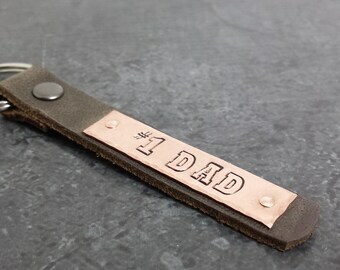 Personalize the riveted sterling rectangle with your choice of letters or words. 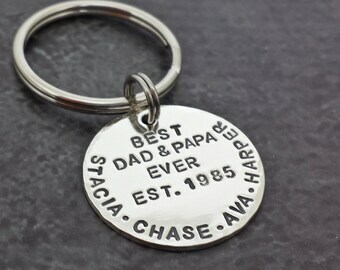 Key chain measures 2.5 inches not including key ring and is a 1/2 inch wide.